The SAS-format drive controller in an EMS provides access for up to four SATA-format SSDs. SATA-format SSDs do not have redundant access. 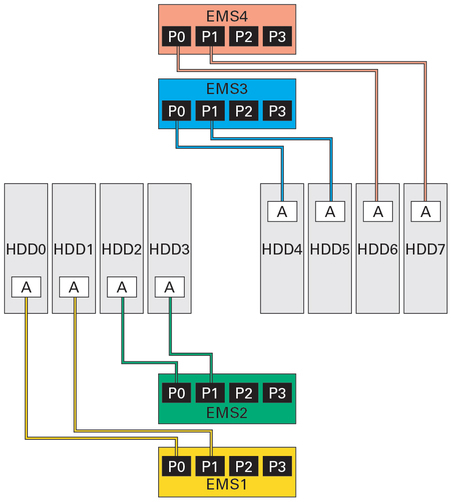 EMSs provide nonredundant access to SSDs that have single ports.